If you’ve never heard of Smitten Kitchen, you need to. I had heard her mentioned off and on for a few years, but it wasn’t until I heard an interview with her on the Diane Rehm show that I realized how awesome she was. 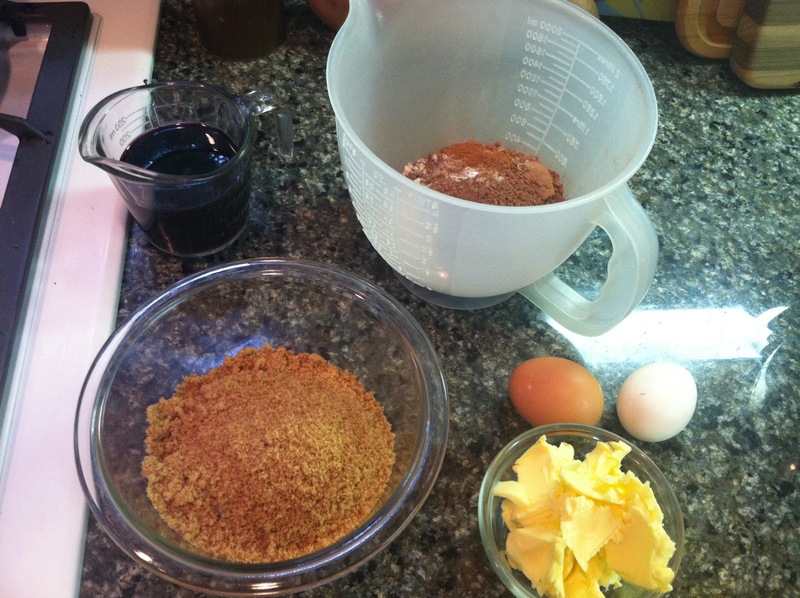 Smitten Kitchen is the blog of Deb Perelman, who lives in New York and cooks awesome things. During her interview with Diane Rehm, she rattled off a recipe for cucumber and cabbage slaw. Since then I’ve made it a bunch of times and it’s really simple and delicious. Then, during Passover, a dear friend was coming to dinner who was keeping kosher. I found a recipe for chocolate caramel matzo crack and it was seriously so good. I was considering hiding it before she came over so I wouldn’t have to share. Deb (can I call you Deb?) has never steered me wrong. Everything I make of hers looks exactly like her pictures promise it will. I need to buy her book already. So my third recipe of hers was one I’ve been wanting to make since I first came across it a few years ago. I made this cake for my book club and they just loved it. 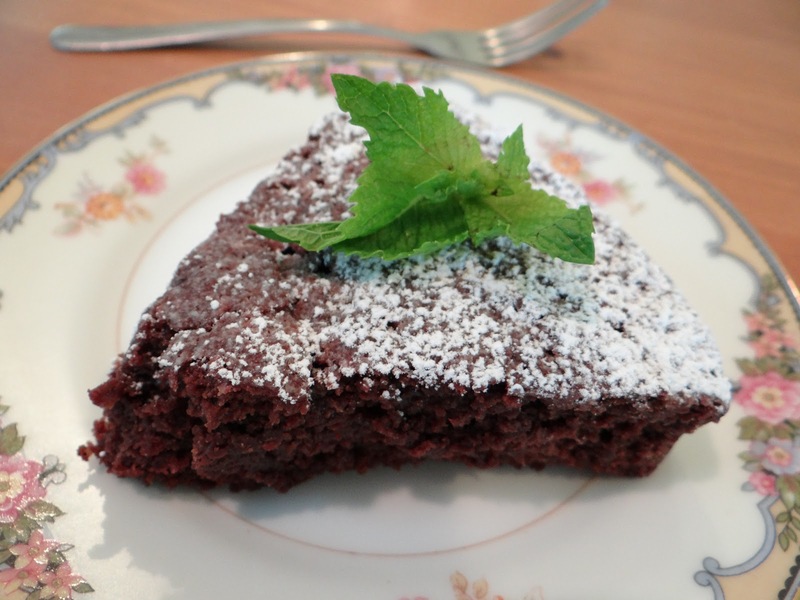 The combination of the chocolate and red wine was amazing, and the cinnamon gave it just the right amount of spice. Once you have all your ingredients, now you will want to mis en place them. 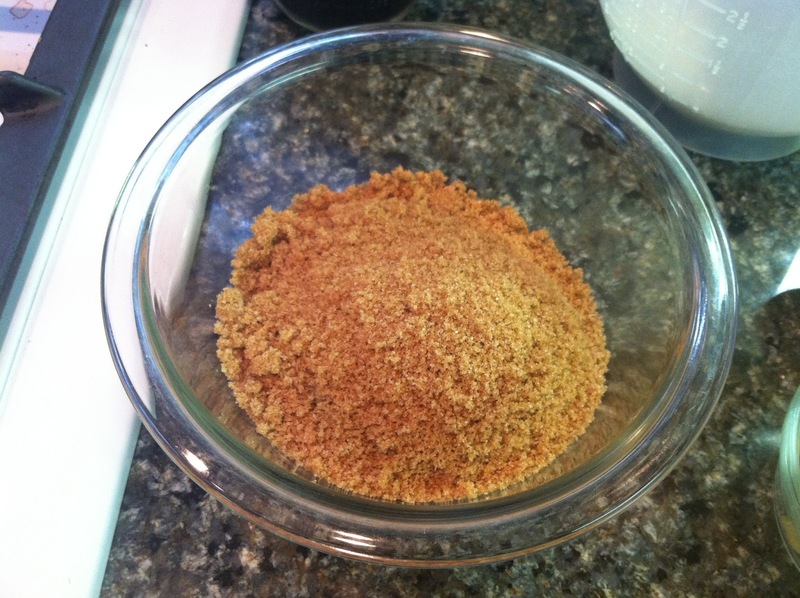 Mix together your brown and granulated sugars into a bowl. 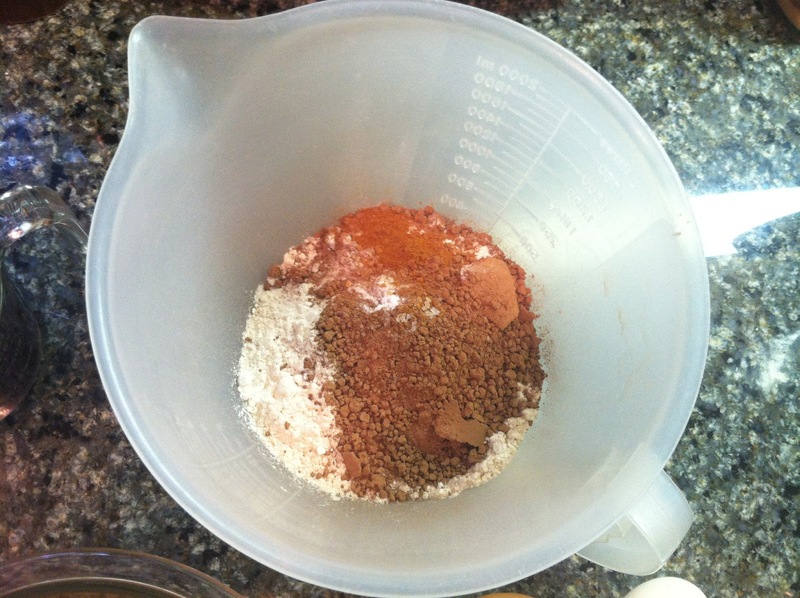 Mix together the flour, chocolate, baking powder, baking soda, salt and cinnamon in a measuring cup. This will make it easier to add a little bit at a time to the final dough. 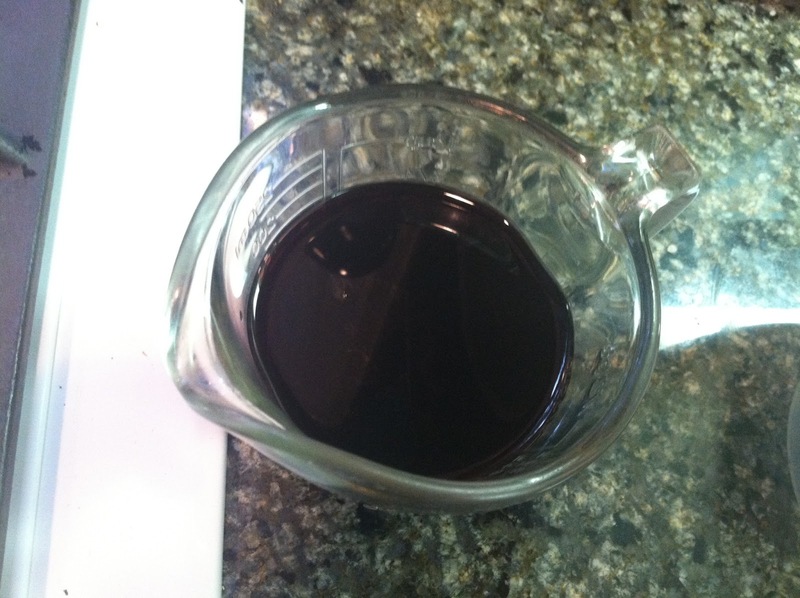 Now measure out your wine and add the vanilla to it. I should mention, at this point you will want to preheat your oven and prepare your cake pan. Butter it up, then cut a circle out of parchment to fit the bottom of the pan. Now grease that too. 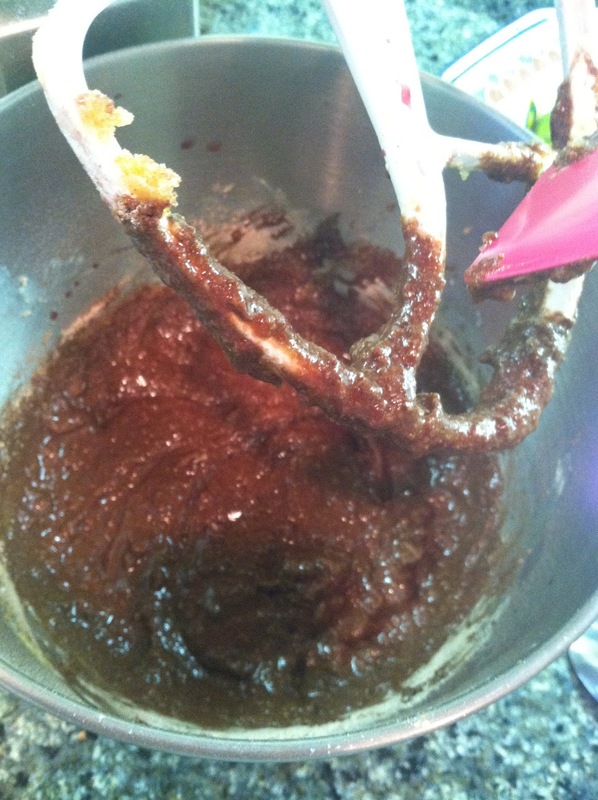 Take a few tablespoons of flour and, holding the pan in the sink, shake it around until the pan is covered with flour. Dump any excess flour into the sink. 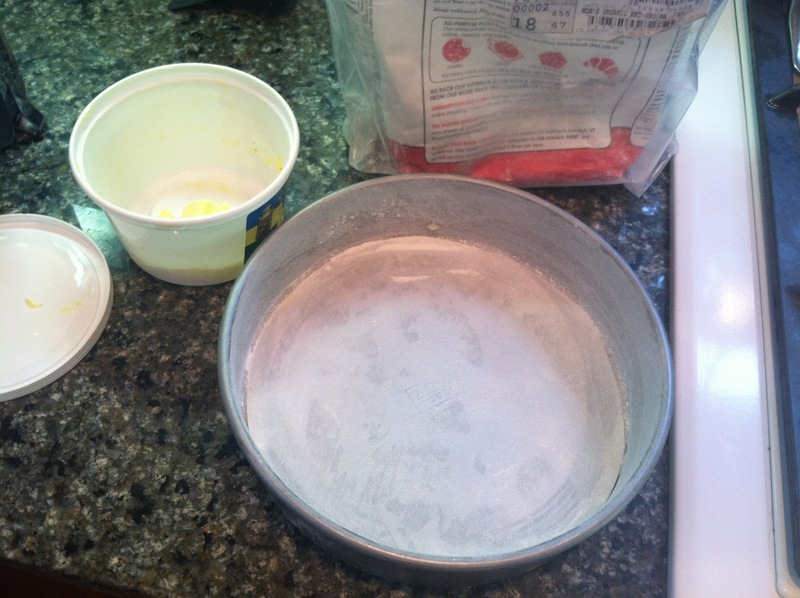 Take your butter and add it to the bowl of a stand mixer. Beat it about a minute until it’s nice and fluffy. 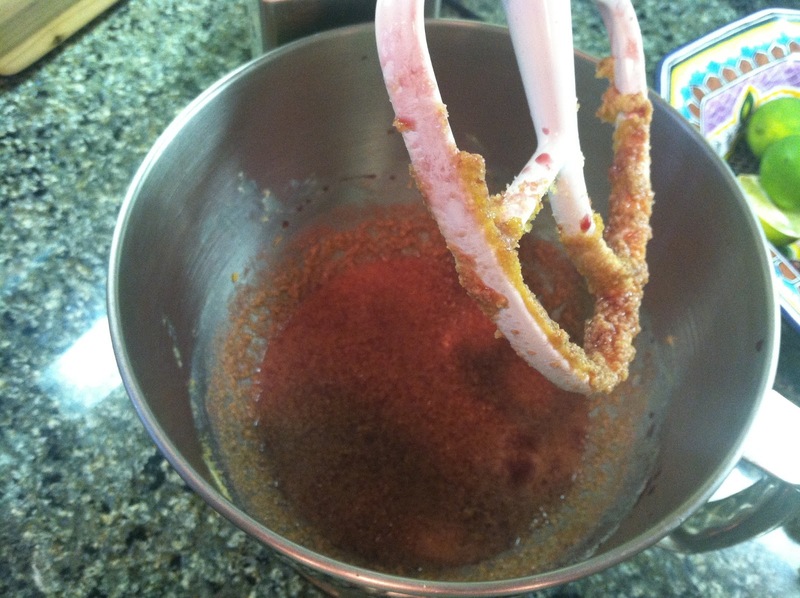 Then add the sugars and mix to combine. At some point you will add the eggs. I can’t remember when. Maybe now? Yeah, that seems right. 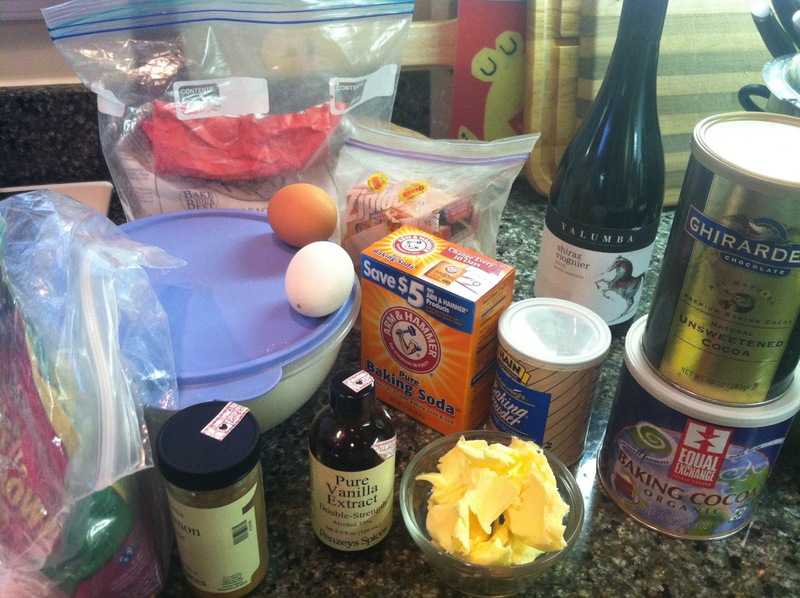 Add the eggs and the wine-vanilla mixture. 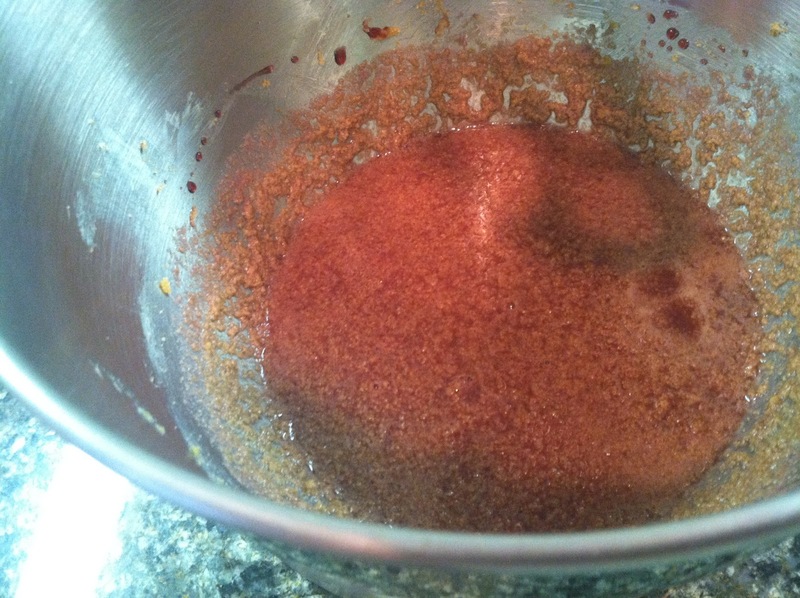 Now take your flour-cinnamon-cocoa mixture and pour it into a sifter. 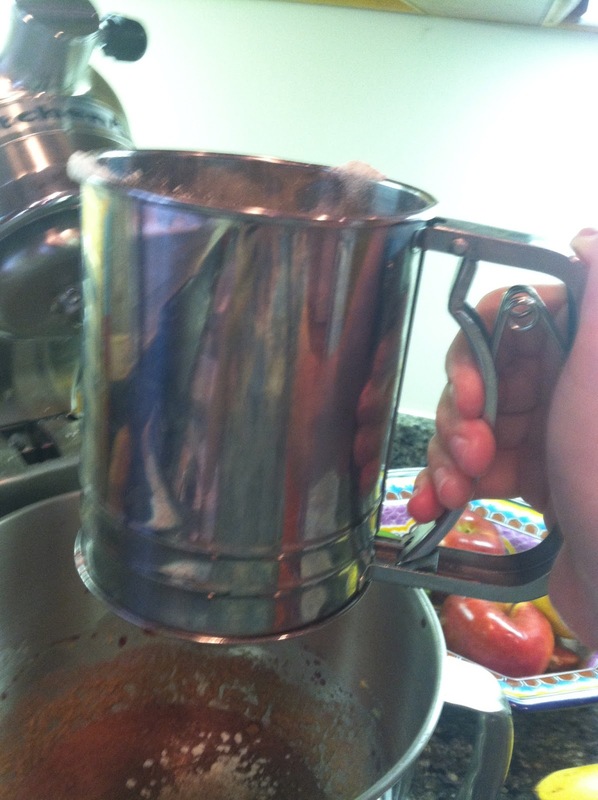 Gently sift it into the bowl of the stand mixer. Stir every so often so the flour is incorporated. Don’t worry if it looks weird and clumpy. That’s what Deb said and I believed her. Follow her instructions and she won’t lead you astray. I promise. 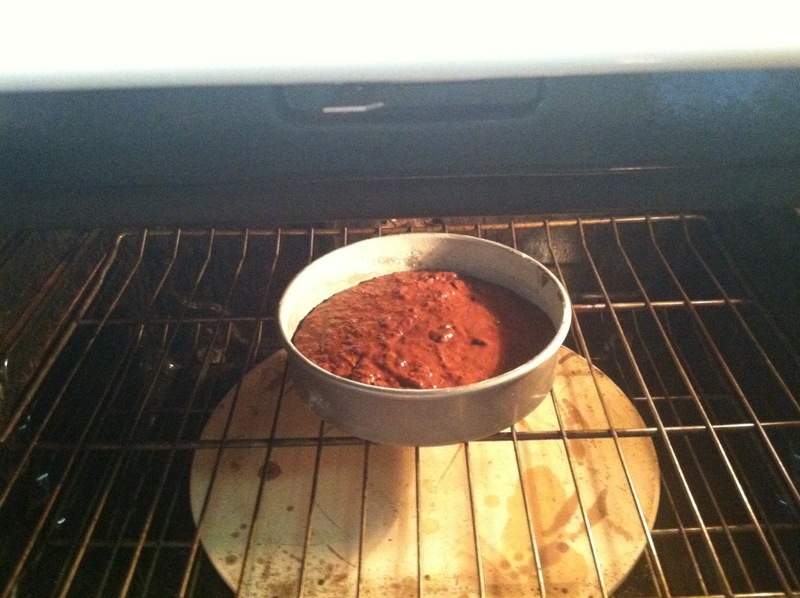 Now take a spatula and scrape everything into your prepared cake pan and put in the oven. It bakes for something like 55 minutes. 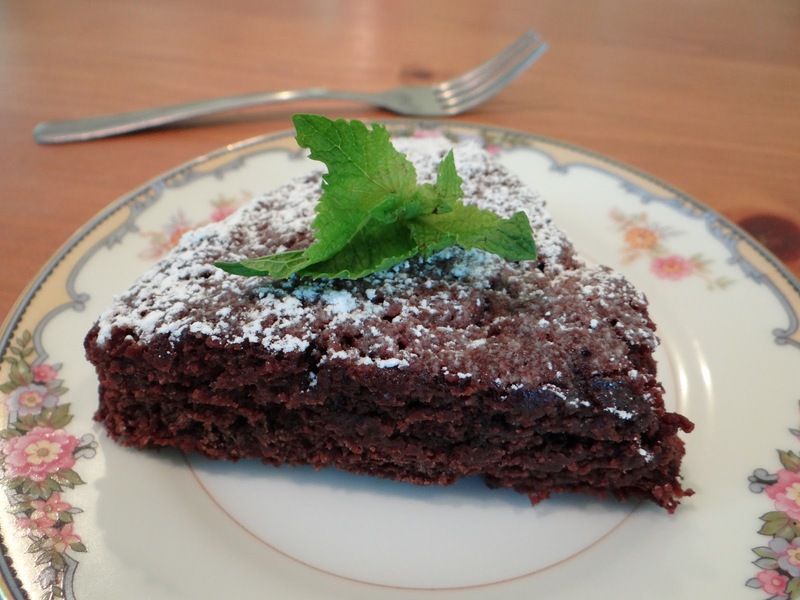 It’s a really, really delicious and very grown-up cake. We ate it sprinkled with powdered sugar and it was perfect, but Deb has a recipe for a mascarpone whipped topping, which I can imagine just takes it over the top.